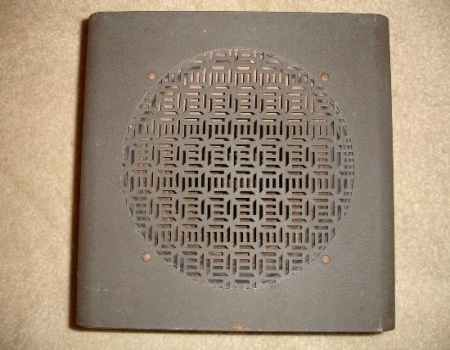 These next two photographs are of the Hammarlund S-100 speaker. The S-100 is the suggested optional speaker for the Hammarlund HQ-200 receiver. 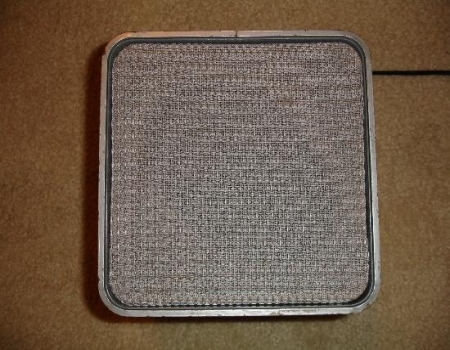 The photograph on the left is of a Hammarlund PSC-10G speaker and cabinet. 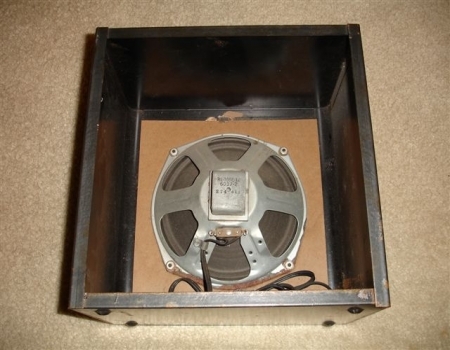 The Hammarlund model number PSC-10G indicates that the cabinet includes the 10 inch Jensen permanent magnet(PM) speaker. 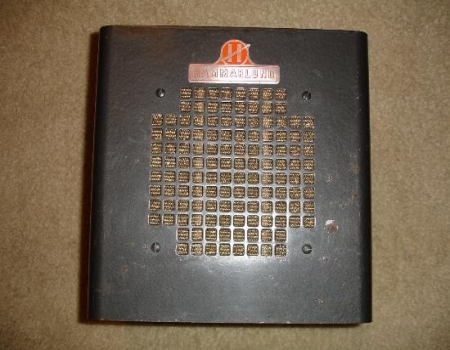 Another similar model number, the Hammarlund SC-10G would indicate that the cabinet was offered without any speaker. I believe the "G" at the end of the model number indicates a gray cabinet while model numbers with out the "G" are in black. Also take notice that Hammarlund did not include their logo on the front of the PSC-10G speaker cabinet above or on the SC-10G. 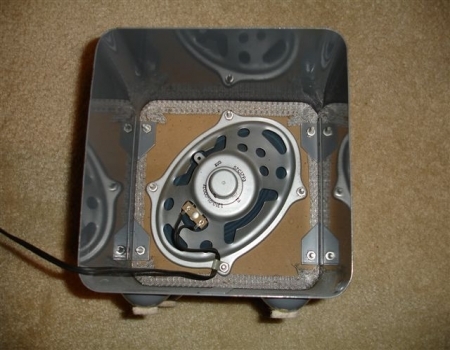 This gave the end user the option to use this speaker on other, non-Hammarlund equipment. When used with Hammarlund receivers, these speaker cabinets would have been paired up with the Hammarlund HQ120 or HQ-129x series of receiver.